Hamzah received his undergraduate degree from the University of Nottingham in 2006, a Masters from King’s College London in 2008, and his PRIME Masters from Brown University in 2009. Hamzah co-founded Accelereach, an angel-funded developer of health and wellness coaching software, with fellow PRIME alum Adam Emrich in 2009. The company’s software has helped thousands of people around the country lead healthier and more fulfilled lives. Hamzah joined the Rhode Island Health Insurance Exchange as a Consultant soon after it’s establishment. While there, he developed new lines of business, growth strategies, and sources of revenue. 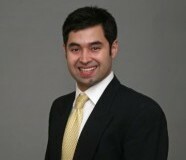 In 2011, Hamzah was honored by the Rhode Island Tech Collective as one the top 10 IT entrepreneurs in the State. Finally, he has advised United States Senator Sheldon Whitehouse on legislative policy governing immigration reform, economic development and funding for small businesses. As the Entrepreneur-in-Residence he mentors, coaches and advises student ventures, and facilitates the commercialization of Brown technology and IP. Sumana is a lover of all things “food” and has been working in the food systems field for the past ten years. As an attorney with expertise in the food world, including a graduate degree in Food Systems, Sumana brings a special set of skills and understanding to transactional legal issues arising for farm and food businesses. Before starting her own practice, Sumana worked at Conservation Law Foundation where she launched the Rhode Island arm of a pro bono legal assistance program benefitting farmers and food business owners. 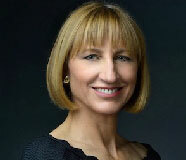 She worked as the Communications Director for the Rhode Island Food Policy Council. Before moving to Rhode Island, she worked in translational research at the intersection of food systems and public health at NYU School of Medicine. Sumana received her JD from Northeastern University School of Law, and her MA in Food Systems from New York University. She is admitted to practice in New York and Rhode Island. Baker concentrates his law practice in corporate and real estate matters, including mergers and acquisitions, debt and equity financing, commercial borrowing and lending, regulatory and compliance matters, and corporate governance and structuring. Baker also advises clients on various strategic relationships, joint ventures, leasing matters, and manufacturing, distribution and service agreements. 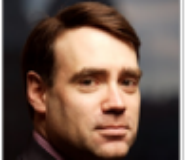 Dan Crocker is a business leader with extensive experience in leading the strategy and driving the results of global businesses. Most recently the SVP, Global Chief Customer Officer of Ocean Spray Cranberries, Inc., Dan played a critical role in optimizing the agricultural cooperative’s business model by working closely with cranberry farmers and leveraging their iconic brand to ignite a passion for cranberries and innovative cranberry products around the world. Holding a wide variety of leadership positions throughout his career, Dan has consistently demonstrated a relentless curiosity to discover creative solutions to complex business challenges. 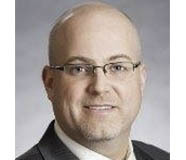 Dan’s background also includes working across a broad range of industries as an attorney in the public sector, in a corporate private practice, and as in-house counsel to a major retail pharmacy chain. 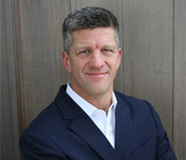 Dan earned his law degree at the University of Iowa College of Law, and his undergraduate degree in economics and english from Drake University. Originally from Minnesota, Dan now lives in Rhode Island with his wife, Erica, and their three children. Kas is a Partner in Corporate & Business group at Pannone Lopes Devereaux & West LLC. 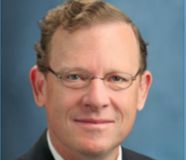 His practice is best described as “Outside General Counsel,” but his particular skill sets are in corporate and transactional law, financing and mergers and acquisitions, commercial real estate, intellectual property, international business ethics and compliance, and arts and entertainment law, which he uses to help steer private for-profit and non-profit businesses and individuals. When he’s not wearing a tie, he’s a manic dabbler in product development and licensing, and an avid martial artist. Kas has been an active community volunteer on numerous fronts, including the Quonset Development Corporation, the Providence Economic Development Partnership, United Way of Rhode Island, the Greater Providence YMCA, Providence Athenaeum, Progresso Latino, The Met School. He’s also a member of the Rhode Island Commission on Judicial Tenure and Discipline, the Rhode Island Commodores and is a recent chair of the Thurgood Marshall Law Society. Kas received both his bachelor degree and J.D. 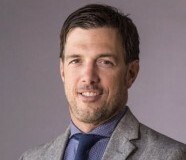 from the University of North Carolina, Chapel Hill, was named a New England Super Lawyers Rising Star in 2010, and was twice named to Providence Business News’ Forty under Forty, Class of 2006 and 2007. Word has it that he’s no longer under Forty. His children believe that he is Batman—ask him about his comic book collection. Mitchell was born on Long Island, New York. He is now practicing law in Rhode Island and Massachusetts. His practice is focused on commercial and product liability litigation. He advises corporate clients and individuals. 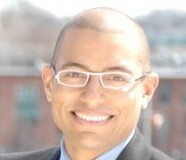 He is active in the community including the Junior Achievement of Rhode Island board of directors. 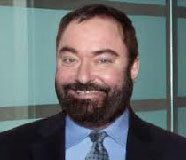 Chairman of Patent, Trademark, and Copyright Services – Adler Pollock & Sheehan P.C. 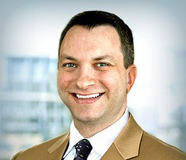 Daniel is Chairman of Patent, Trademark, and Copyright Services at Adler Pollock & Sheehan. P.C.. Most importantly, Daniel has extensive experience in developing and executing strategies for clients’ intellectual property portfolios with a sharply honed focus on furthering their business objectives. As a registered patent attorney with the United States Patent and Trademark Office, Daniel has a passionate focus on assisting a wide range of clients from early stage technology companies to Fortune 500 companies located throughout the United States and Canada with their intellectual property law issues. More specifically, Daniel advocates and counsels clients in intellectual property areas such as patents, trademarks, copyrights, trade secrets, unfair competition, and domain names. Daniel’s range of technology areas is vast including medical devices, software, biofuels, nanotechnology, material science, eyewear, coatings, vaccines, chemicals, consumer packaging, biotechnology, and green technologies. Daniel advises on all aspects of intellectual property protection including prosecution, procurement, federal litigation, proceedings before the Patent and Trial Appeal Board (PTAB) (i.e. reexaminations and interferences), Trademark Trial and Appeals Board (TTAB) (i.e. oppositions, cancellations, appeals), reexamination, interference, Uniform Domain-Name Dispute Resolution Policy (UDRP) proceedings, licensing from technology transfer offices and others, and auctioning of IP. Furthermore, he is a registered patent attorney with the U.S. Patent Office and admitted to the federal district courts in Rhode Island and Massachusetts. 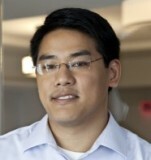 In addition to his law practice, Daniel is an adjunct Professor at Brown University. In his spare time, Daniel volunteers for non-profit organizations dedicated to children with autism. 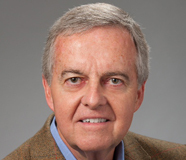 Mr. Alan Feeney is the Founder of Feeney Law Group, a U.S. law firm specializing in intellectual property law. He served as the Senior Patent Counsel for a major biopharmaceutical company and was responsible for the development of the pharmaceutical portfolio for all research conducted in the United States, Ireland and Spain. Serving as both in-house counsel and in private practice, Mr. Feeney has practiced law for over twenty-five years with more than twenty years specializing in intellectual property law. 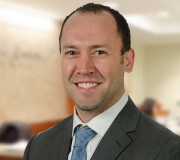 In his practice, Alan’s background allows him to provide unique insight using a 360 view of patent law, including strategy, development, drafting, prosecution, and protection of biopharmaceutical patents. He has notable accomplishments in the development of partnerships and collaborations. Mr. Feeney has a specialized, advanced law degree in Intellectual Property. As part of the Feeney Law Group, Mr. Feeney was a subcontracted examiner in the biotech unit of the U.S. Patent and Trademark Office. From 2014-June 2015 he was a Patent Contractor to CPA Global Limited, a private company. 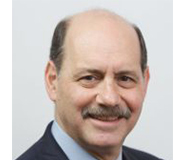 Alan is licensed to practice law in Rhode Island, Massachusetts, Florida, District of Columbia and the federal courts for New York as well as being registered to practice before the U.S. and Canadian patent offices. President & CEO – Advanced Remarketing Services, Inc. Founder, President & C.E.O of Advanced Remarketing Services, Inc. (ARS) www.arscars.com. ARS is a proud Rhode Island company focused on end of life vehicles and recycling. ARS works closely with many top charities on vehicle donation programs. www.cardonationwizard.com The company has raised over $75 million dollars for their charity partners. Joe is an experienced entrepreneur and marketer with a background in technology, e-commerce and recycling. Prior to starting ARS Joe worked in the automotive auction, defense, non profit, and sports marketing sectors. Joe is an active volunteer for several causes, lives in Newport RI with his wife and enjoys most all things ocean. Ryan is an attorney with a broad range of corporate and transactional experience. His practice at Howell Legal focuses on helping startups and growth companies with formation, financings, contract review, and mergers and acquisitions. Ryan is eager to help social entrepreneurs with general questions related to their contracts, as well as the full gamut of issues faced by those choosing a for-profit path. 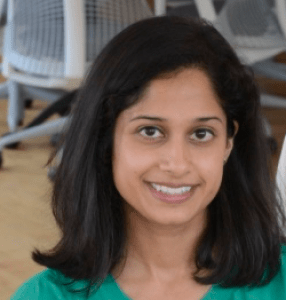 Gowri Krishna is Director and Supervising Attorney of the Community Economic Development (CED) Clinic at Roger Williams University School of Law. The CED Clinic provides transactional legal assistance (e.g., entity formation, tax exemption, governance, contracts, etc.) to nonprofit organizations and small businesses. 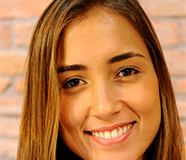 She teaches and supervises law students in the Clinic. 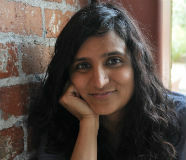 Gowri previously taught at the University of Michigan Law School and Fordham University School of Law. She has experience working with consumer and worker cooperatives. Gowri received her A.B. from Washington University in St. Louis and her J.D. from Fordham University School of Law. Mr. Lederberg focuses his practice in the area of corporate and business law with extensive experience handling a variety of corporate and financial transactions and issues, including corporate acquisitions, sales, mergers, corporate restructurings, contracts, licensing and corporate governance issues. 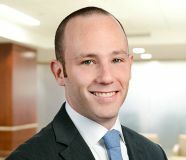 He serves as general counsel to numerous closely-held businesses, with a special emphasis on representing technology companies in a wide variety of areas. Additionally, Mr. Lederberg also has substantial expertise in non-profit law, including formation, 501c3 applications and governance issues as well as in commercial real estate law, including commercial leasing, acquisitions and sales, and development. Flann took the creative route to becoming an IP attorney. She began as the photomicrographer for Cornell University’s Dept. of Biology and for the Univ. of Pennsylvania Hospital Obstetrics and Gynecology research team at the Marine Biological Laboratory in Woods Hole, MA. After college Flann worked in stock photography as photo researcher, editor, and international sales manager. That led to Flann founding her international luxury home and fashion brand and design consultancy, where she managed design, manufacturing, import/export, legal, finance, marketing, and sales – and successfully asserted her design patent against numerous infringers. Flann’s intellectual curiosity eventually got the better of her and she obtained an M.S.J. in Intellectual Property from Seton Hall University School of Law in 2008 and a J.D. from Rutgers Law School in 2010. 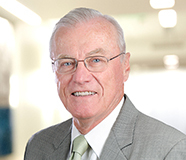 Flann taught entrepreneurship, business law, IP, and The Business of Design at Pratt Institute and Parsons School of Design as an adjunct professor for the past decade. She now enjoys giving presentations on law to educators, attorneys, and businesses nationally. Flann’s federal-law practice is comprised of transactional work such as filing patent, trademark, and copyright applications; assisting with trade secret matters; reviewing and drafting licensing and commercial contracts; and representing both plaintiffs and defendants in IP and contract litigation. 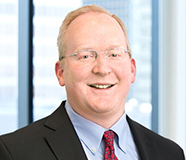 Jonathan Lovely is a partner and patent attorney at Sunstein, Kann, Murphy & Timbers LLP, an Intellectual Property law firm located in Boston. Jonathan has a strong background in medical and dental devices, mechanical devices, telecommunications, image and video processing, and digital signal processing. He concentrates in patent preparation and prosecution, portfolio development, and product clearance. In addition to his experience as a patent attorney, Jonathan also has 8 years of industry experience as an engineer in the medical device, pharmaceutical, and industrial radiography fields. I truly believe that every one of us has something incredible and unique to offer to this world and that together we are stronger. I’m motivated by the grander purpose behind each unique social enterprise, to work together with creativity, confidence, teamwork, and the collaboration to find solutions and reach team’s full potential. I hope to be truly useful, helping not only with legal and corporate matters, but also with honest support and encouragement. I expect to be inspired by great people and great ideas! 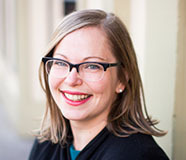 Attorney Megan E. Sheehan graduated from Macalester College in 2005, and from Vermont Law School in 2013. While at Vermont Law School, Megan participated in the South Royalton Legal Clinic, and was an active member of the National Lawyers Guild VT Chapter. Prior to joining the Law Office of Maura L. Sheehan, Megan worked with the Vermont Workers’ Center as the Director of Operations. She lives in the East Bay of Rhode Island with her husband, son, two dogs and cat. Megan is licensed to practice in Massachusetts and Rhode Island, and primarily practices in our Barrington office, and practices in small business legal services, estate planning, probate, real estate and personal injury.